We’re having an Open House here at RebelBetting this weekend. 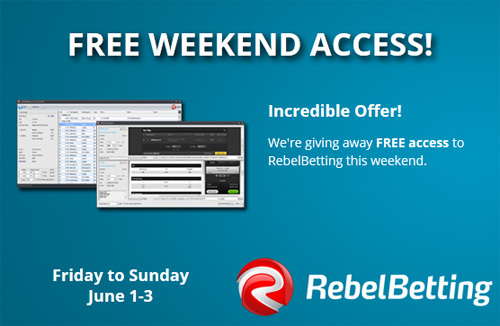 Grab this opportunity and use RebelBetting Pro this weekend, completely free! Tell your friends that might be interested! NOTE – Campaign has ended. We’re launching an awesome Summer Sale on Monday. Some huge discounts will be available! We will tell you more about this on Monday, so stay tuned!